Are you interested in the latest Hygienic Design trends and do you wish to gain more insight in Hygienic Design for fresh food factories? TOP bv and Campden BRI will present an interesting program sharing their experience with hygienic design in the fresh food industry. 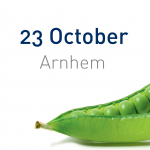 On October 23 we organize the first International Seminar on Hygienic Design, in the Papendal Olympic Sports Center in Arnhem, the Netherlands. Most information regarding hygienic design is primarily available for closed systems that are suitable for CIP and EHEDG certified. Food industry is however moving towards less processed and fresher foods and therefore additional knowledge is crucial. TOP bv and Campden BRI joined forces to organize the first International Seminar on Hygienic Design for the fresh food industry. In this seminar TOP and Campden will present Hygienic Design guidelines specific for the fresh-cut industry. The presentation is accompanied with interesting talks of several partners and experts. After the seminar you can visit the Food Valley Expo at the same location. You can register for participation using the ‘participate’ button below. After filling in and sending the registration form you will receive a confirmation email. Only after receipt of the payment the registration is definite. Craig Leadley (Campden BRI) will present Hygienic Design Guidelines for Fresh-Cut Industry that is developed by TOP bv and Campden BRI in the EU 7th Framework Program Project SUSCLEAN. Quality manager from the fresh food industry will share experiences with difficult food products from a hygienic design point of view. After the registration you will receive a confirmation email with payment conditions and further information about the event(s). Your participation is definite after the payment is done. This event is supported by the European Commission under the 7th Framework Programme for Research and Technological Development through the SUSCLEAN project. More information can be found on www.susclean.eu.